It’s Halloween season, and with that comes costumes, candy and spooky shows! 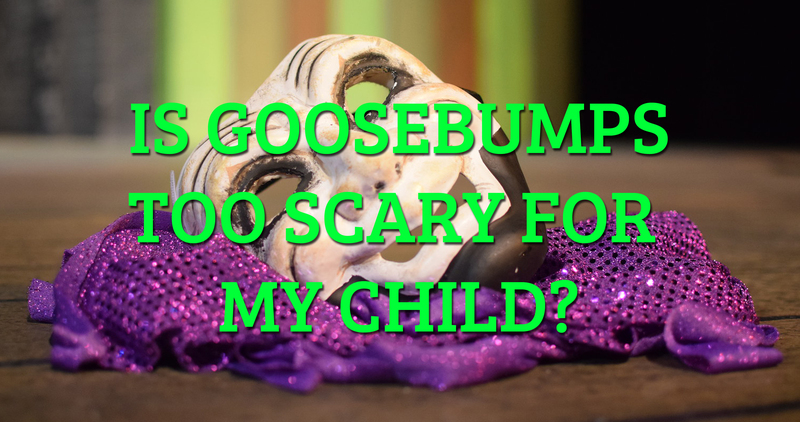 Goosebumps: The Phantom of The Auditorium – The Musical takes us on an eerie adventure led by Brooke Rodgers and Zeke Matthews, two best friends and aspiring thespians. They get their parts in the school play, and legend of The Phantom ends up becoming a reality! This production is meant to be a little spooky with mysterious characters, a plot about a student in the past who may have died, and a lot of creepy coincidences. 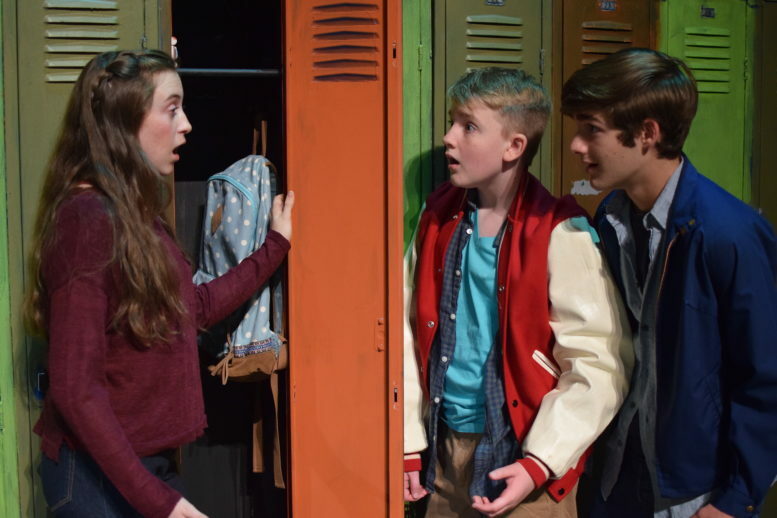 While you can expect that this production will be suitable for children like all Rose Theater productions, some young audience members may get frightened. You may want to prepare members of your family for this possibility (and have a plan ahead of time for what to do if the scary story is too much for them). The story is very loosely based on The Phantom of the Opera, and you can expect that a phantom character will be menacing the students in the show as they are trying to prepare their play! There are references to a student who was killed in the past during a theater production at the high school. If your young person is frightened by “ghost stories” you might want to prepare them for the intentionally frightening story! Some people may find that the theater teacher, Ms. Walker, may not be as responsible as one would hope when it comes to being a vigilant “Adult in Charge” regarding her students and their safety. Her slightly distracted character is a part of creating the tense atmosphere of the story, but you may want to discuss with your young person whether or not you think she could have done a better job as a professional educator! The scares during the story and the climax of the play when the true story of the phantom is revealed may be too intense for some young audience members. This show does not contain any violence or gore. There are some loud noises (doors slamming) and flashing lights. The Phantom appears randomly and there are strobes and haze used throughout the show. The story also has a lot of funny, light moments, which help temper some of the scare factor. Keep in mind that there is always the option to go to the Restless Room. If you start in the auditorium and realize it’s just too much for your child, you can watch the show there on a closed circuit television (with the lights on) — that may put enough “space” between your daughter and the action that it’s easier for her to manage. And then, after a little time, you may be able to return to your seats. Also be sure to have them talk to the actors during Q&A after the show — it can be helpful for young people to see that the actors are just people who are pretending and that none of it is real.